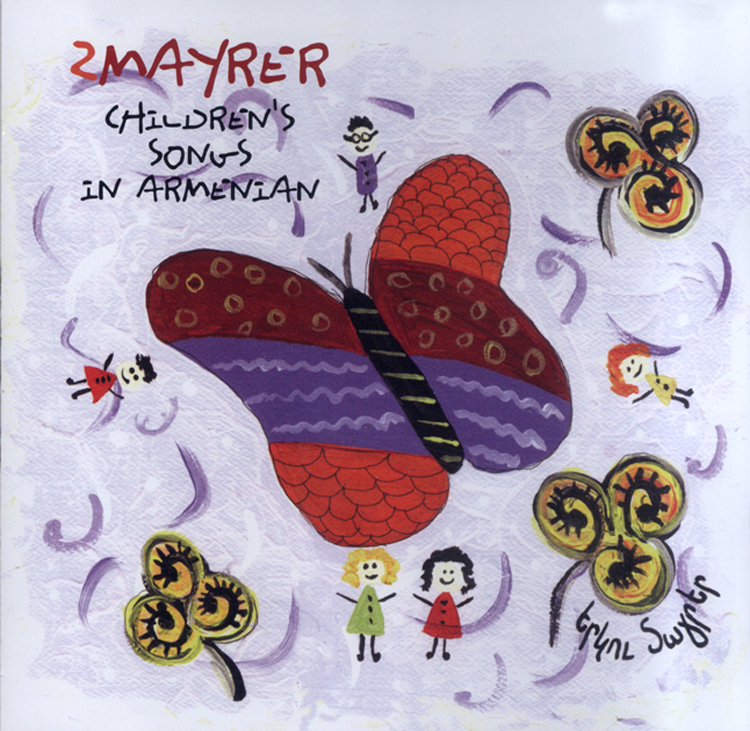 2 Mayrer presents a collection of children's songs sung in Armenian and blended with international rhythms. Though aimed at pre-school aged children, this CD offers a variety of fun, catchy tunes for the whole family to enjoy. Children are taught the basics of the language like the alphabet, numbers, days of the week, and parts of the body, as well as given exposure to traditional Armenian songs. All while being entertained! Listen to these songs as a family, sing along while dancing and clapping or play them in the baby's room. Wake up with the CD's first song Paree Looys (Good Morning), clap along with the traditional Armenian song, Dzapeeg, Dzapeeg (Clap, Clap), play choo-choo in the play room with Shokegark Yegav (The Train Has Come), dance the haleh to a historic Armenian village tune Yertank Khaghaloo (Let's go play) and many other songs old and new. Conclude your listening experience by winding down with Paree Keesher (Good Night), a soothing lullaby. Produced by Nvair Beylerian and arranged by Diane Haroutunian.